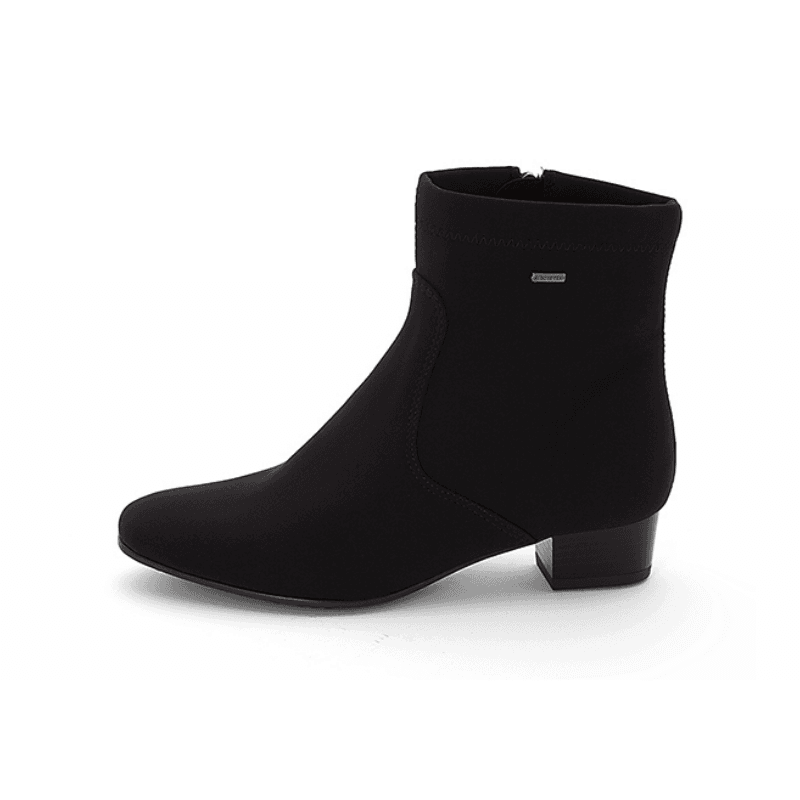 A true classic, these chelsea boots are crafted in a soft black leather and feature double goring panels for an easy on/off. 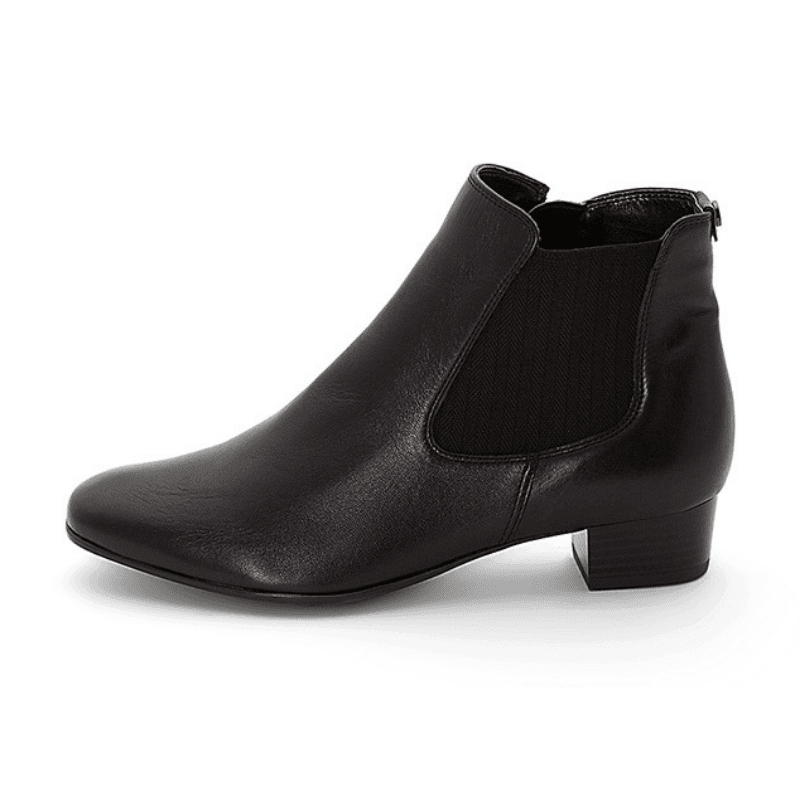 A low heel provides just enough height and a feminine toe shape turns these into a pair you'll wear season after season. Get ready for a barage of compliments! 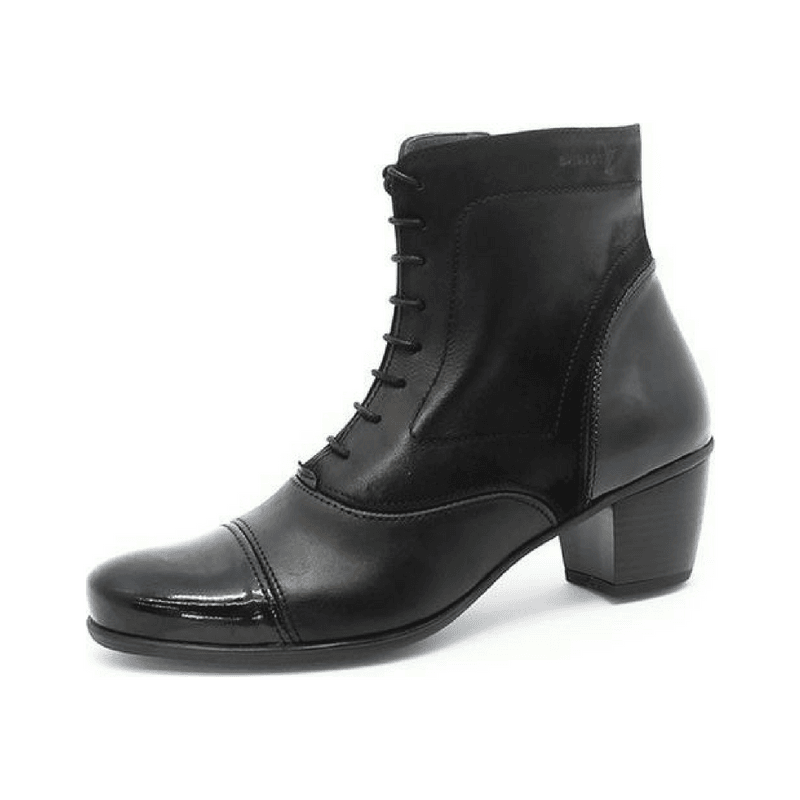 These boots are crafted with a combination of irresistible comfort and style. Support and cushioning go a long way while a stable block heel provides the perfect amount of height. 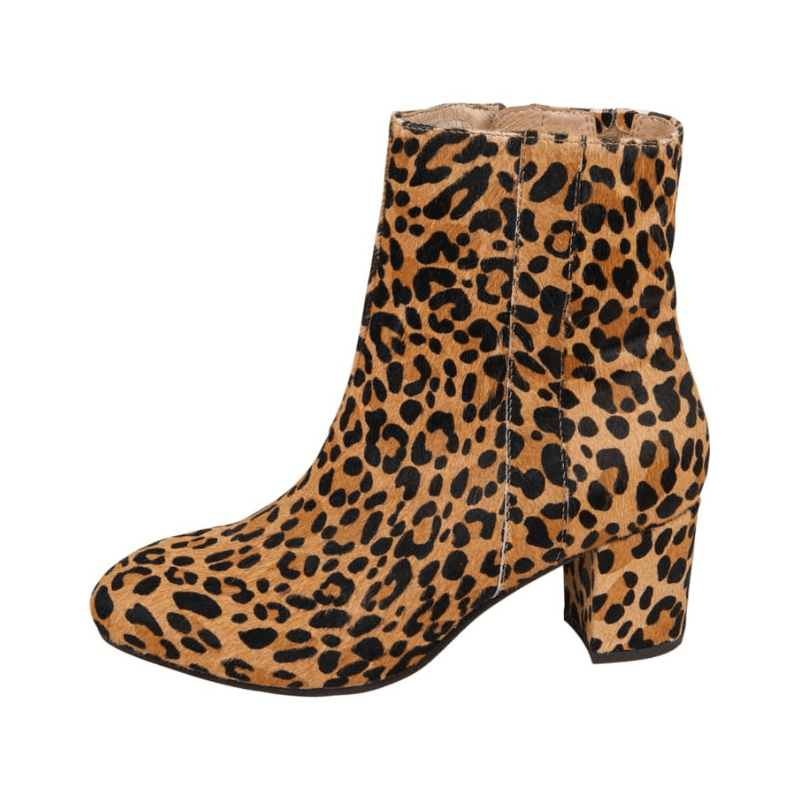 Choose from an elegant black suede or a statement making leopard print pony hair upper (or just get both!) and enjoy the season! 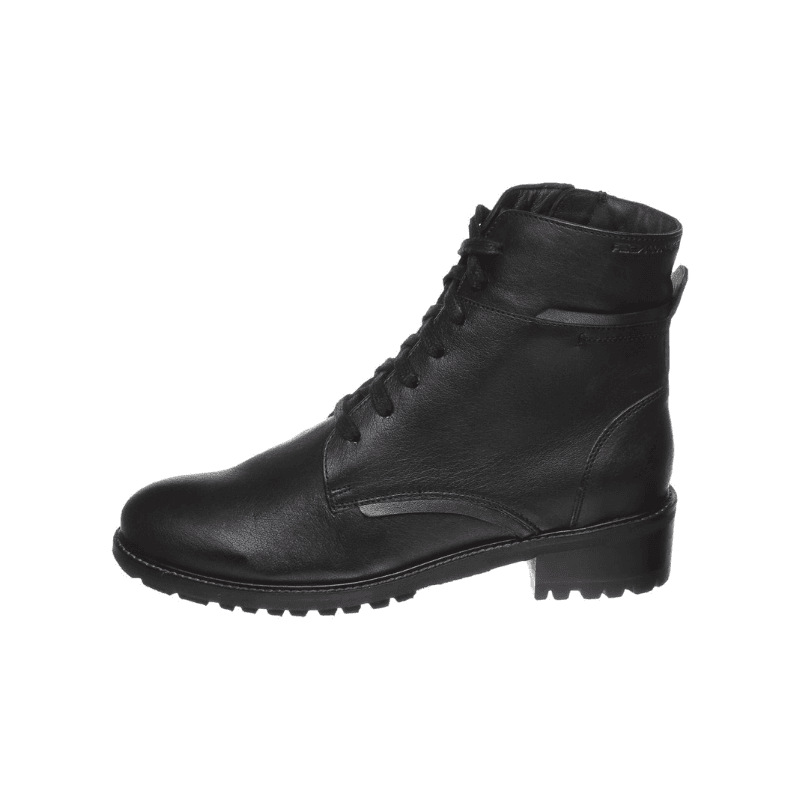 We just adore the feminine detail juxtaposition against the casual, military boot silhouette. 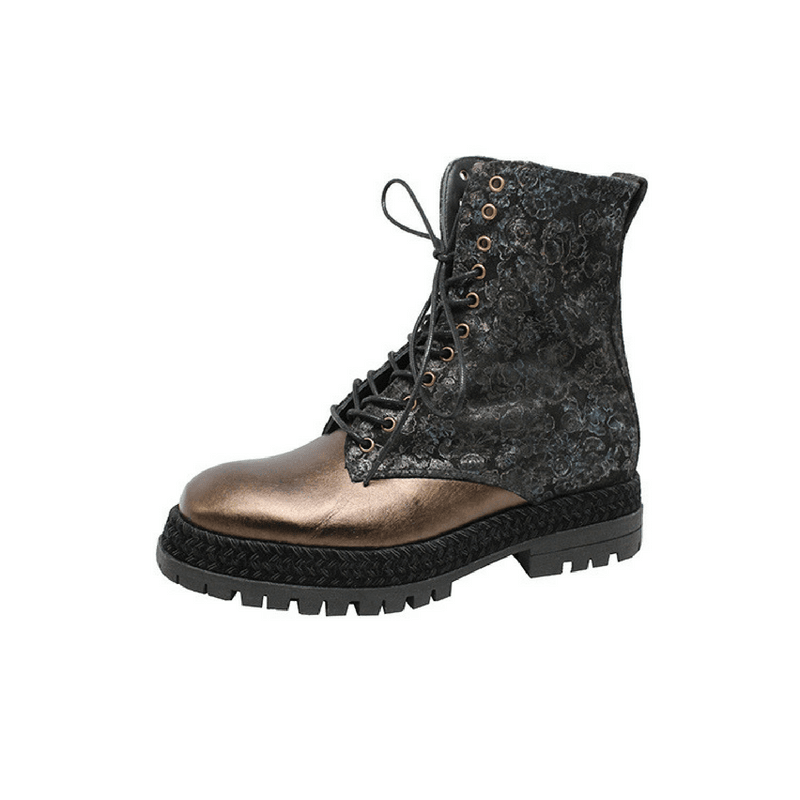 Available as shown and crafted in Spain, these feature a metallic and printed leather combination upper, with gold grommets and a black rope embellishment. Pair with your favorite jeans and get ready for the compliments! 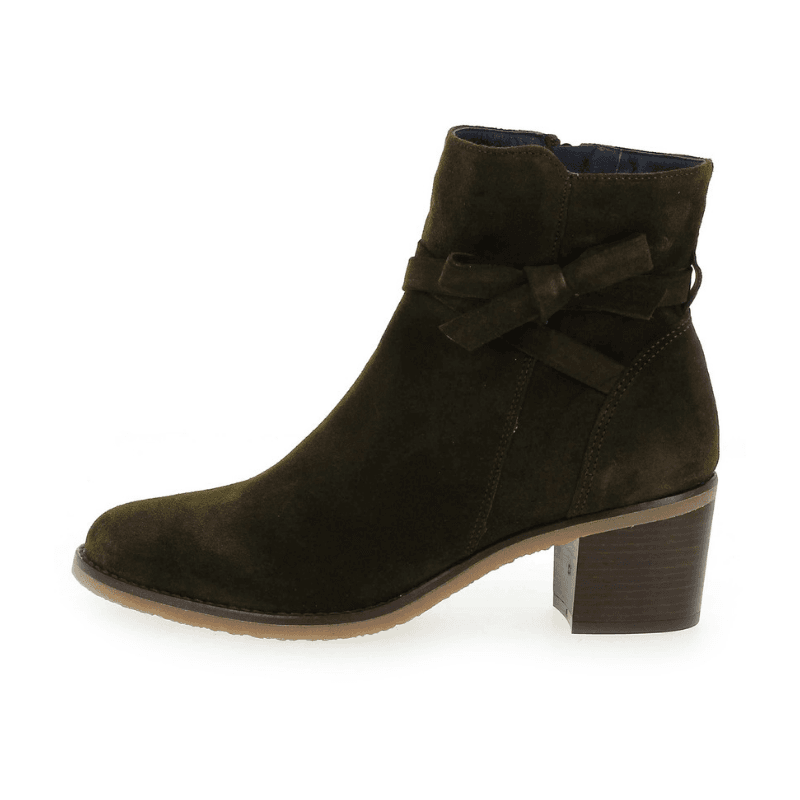 One of our favorites each season, these low heeled microfiber boots are so comfortable. Crafted with a cozy lining to keep you warm on those cooler days, these are also waterproof! Who knew rainboots could be so stylish?